Brilliant!I coudn't put the book down.I think that everyone should read it! It was the best book that I had ever read! Excellent read. 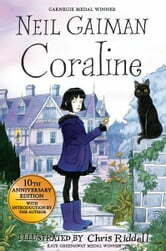 Not sure it should be read to little girls but what a fabulous heroine Coraline is to us all!